When Range Rover introduced the new three- and five-door Evoque, it essentially created a new niche for small, modern, luxury SUVs. 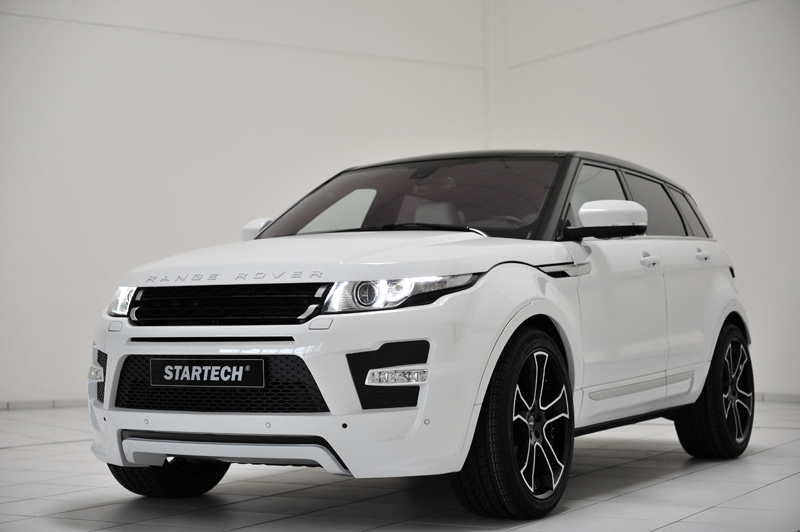 Startech, the Brabus-owned company that specializes in Range Rover, Land Rover, and Jaguar automobiles, has rolled out their newest Range Rover Evoque tuning program for the 2011 Dubai International Auto Show. 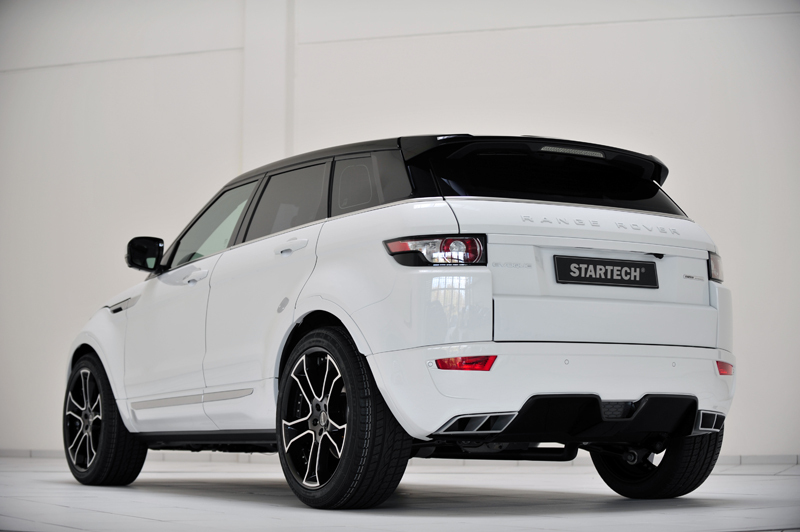 Startech has designed a new aerodynamic body kit for the luxury SUV using OEM quality PUR-R-RIM plastics. 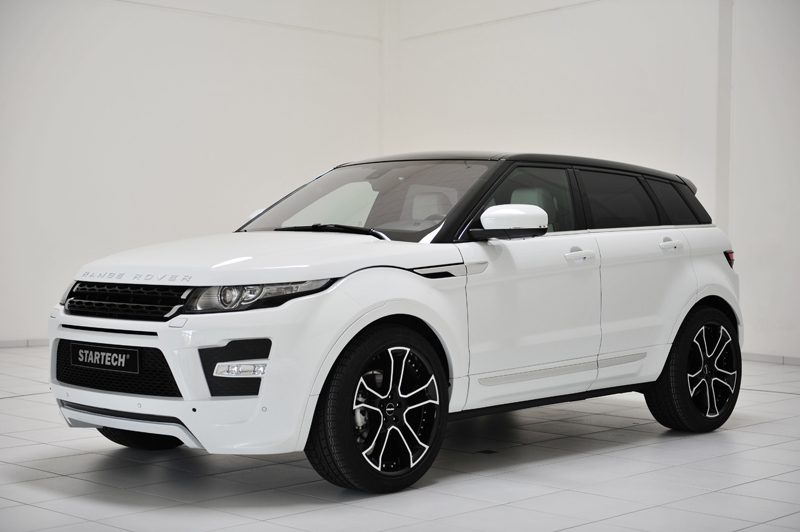 Both the front and rear bumpers have been replaced entirely to give the Range Rover Evoque a fresh look and new character. The front fascia was designed with larger air inlets and a “floating” spoiler at the bottom of the unit that reduces lift at the front axle. 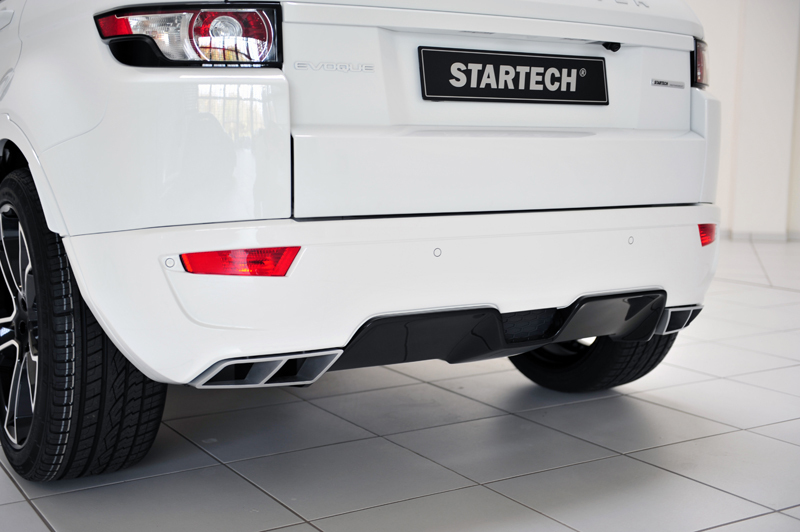 At the rear, the Evoque tuning program includes an integrated diffuser and exhaust cutouts that can accommodate stock or Startech exhaust tips. 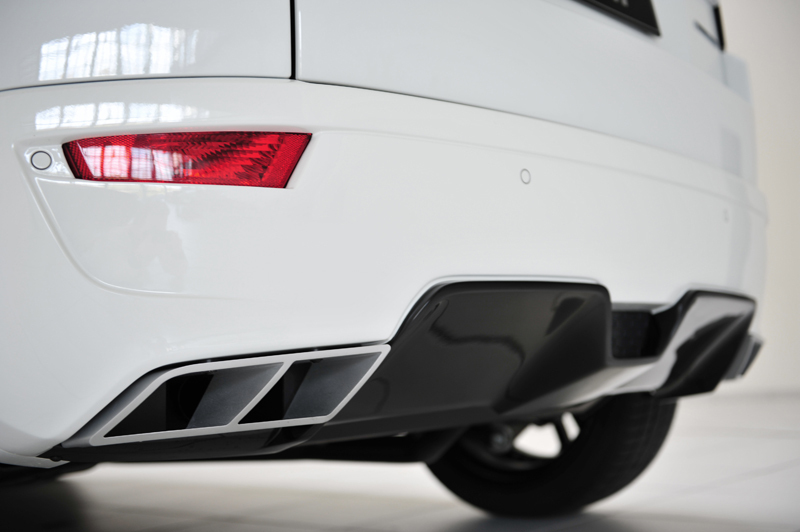 The finishing touch on the rear is a rear wing atop the roof that helps generate downforce. 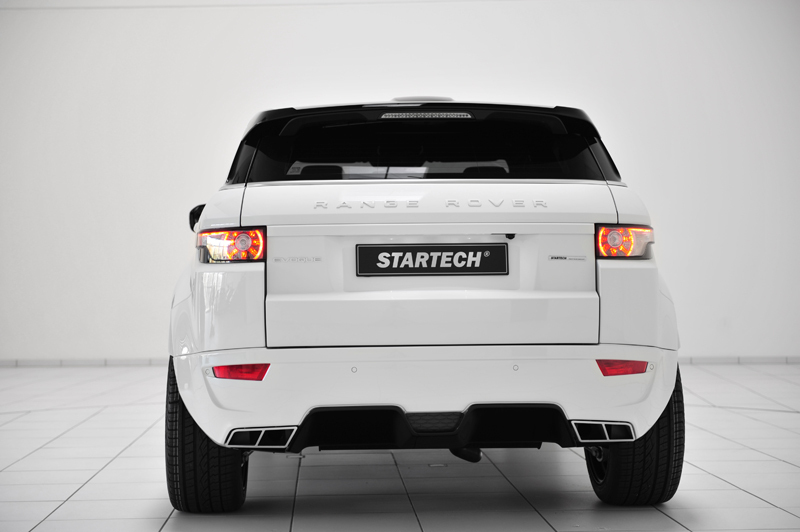 The running gear of the Range Rover Evoque was given a big upgrade from Startech. 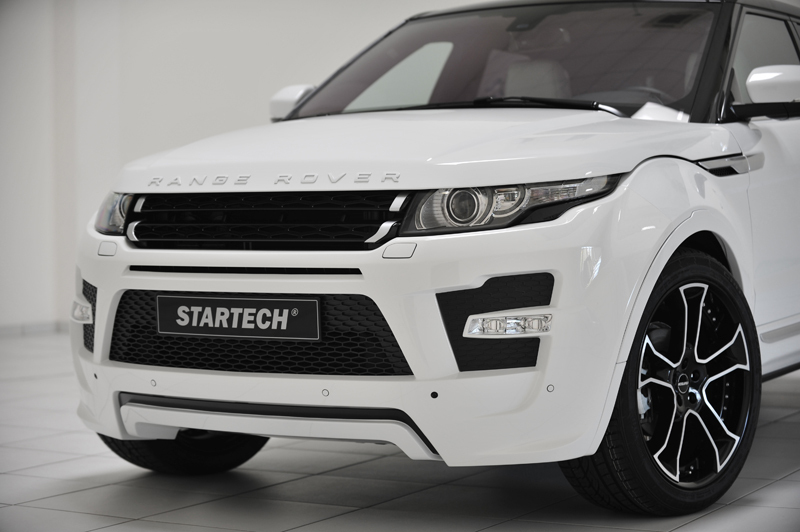 As part of the Evoque tuning program, the stock wheels are replaced with three-piece lightweight Monostar R forged wheels. 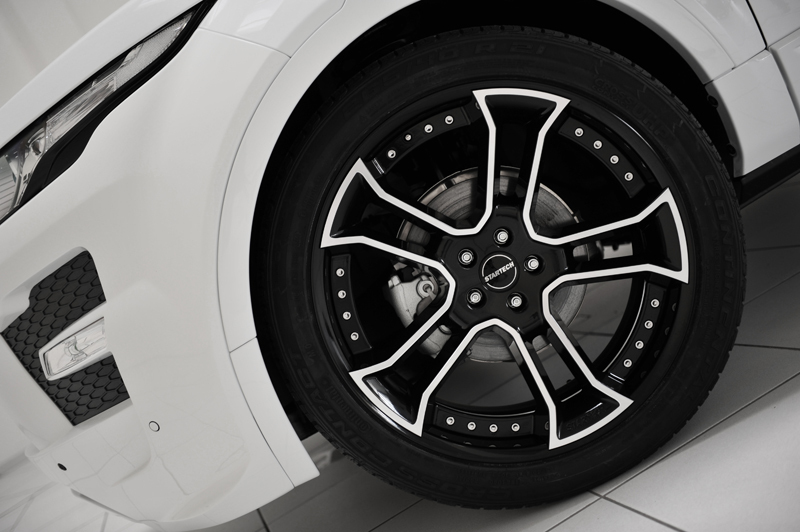 The five-spoke wheels feature black centers and polished contours for a powerful appearance. 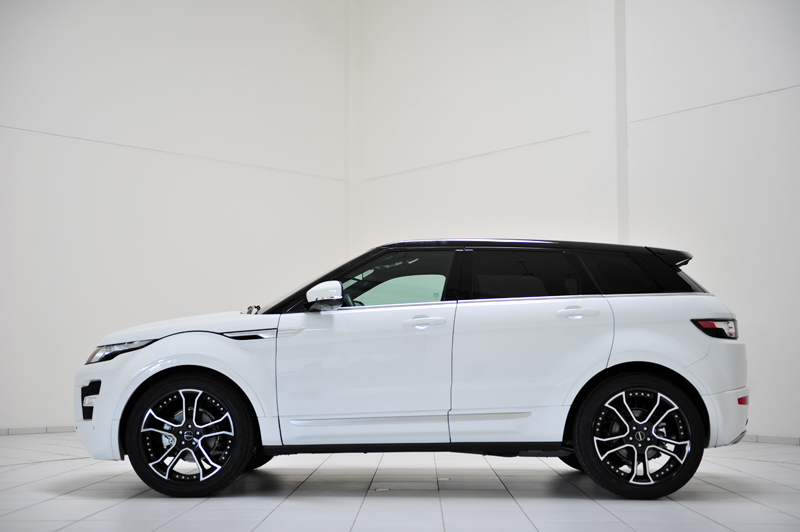 All four wheels measure 9J x 21 and are fitted with 265/40 R 21 high-performance tires for enhanced grip. Customers can also choose to order one-piece cast Monostar R wheels in either 9J x 20 or 9J x 22 sizes. 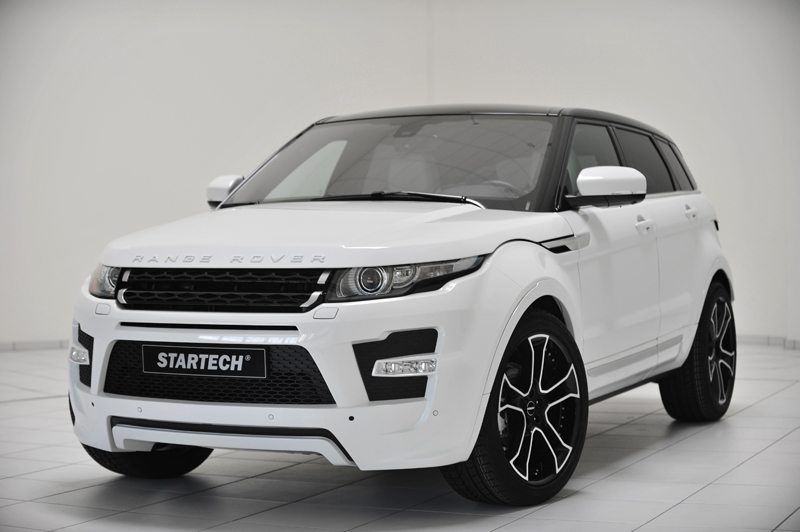 The Startech Range Rover Evoque also features custom-tuned sport springs that are designed to accommodate the bigger wheels and low profile tires. Both front- and all-wheel drive models can be equipped with the Startech sport springs that lower the center of gravity by 35 mm (1.4 in.). 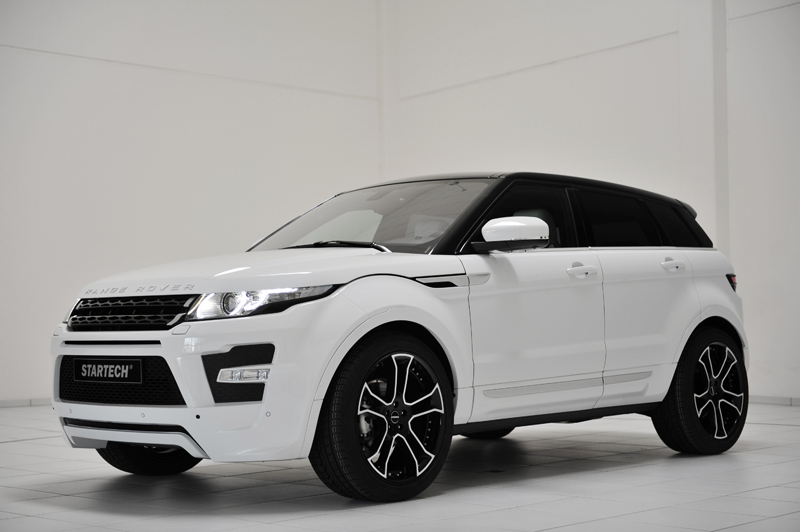 The interior of the Range Rover Evoque is what makes the car so desirable. 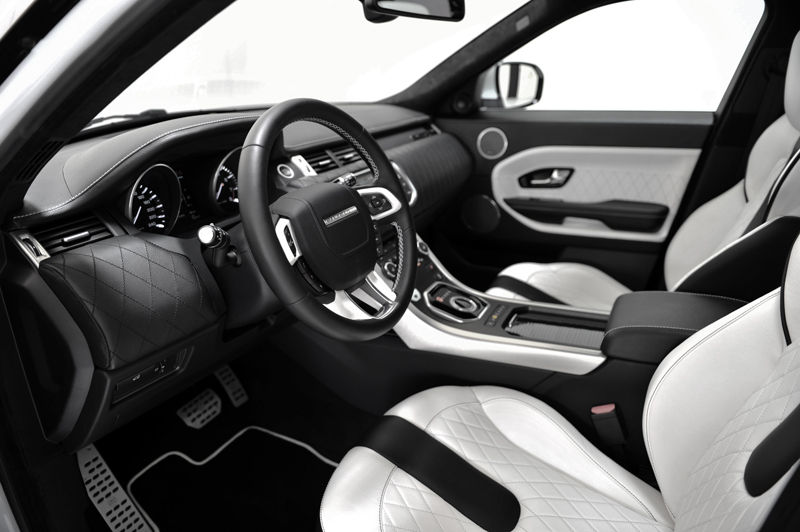 The Evoque tuning program gives customers the ability to completely customize the interior of the SUV with a wide range of alcantara, leather, wood, carbon fiber, and special accessories. 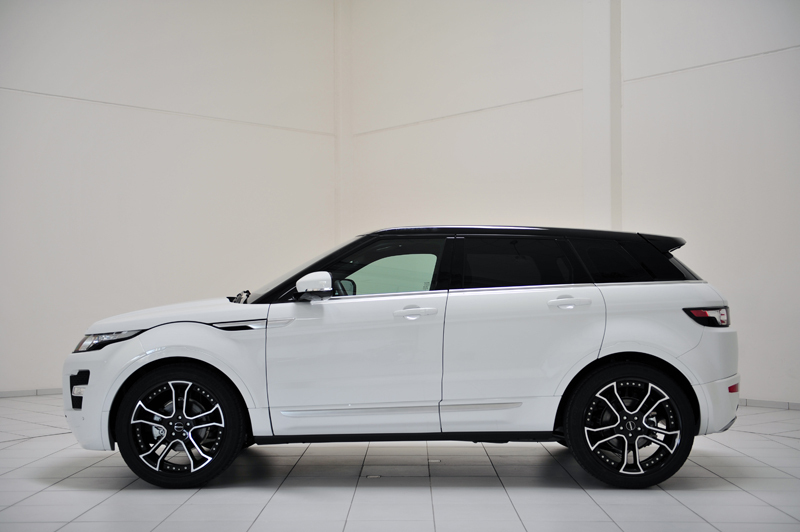 The featured SUV is adorned with black and white breathable leather, diamond-shaped stitching, alcantara headliner, carbon fiber inserts, and new inlays on the dashboard and center console. 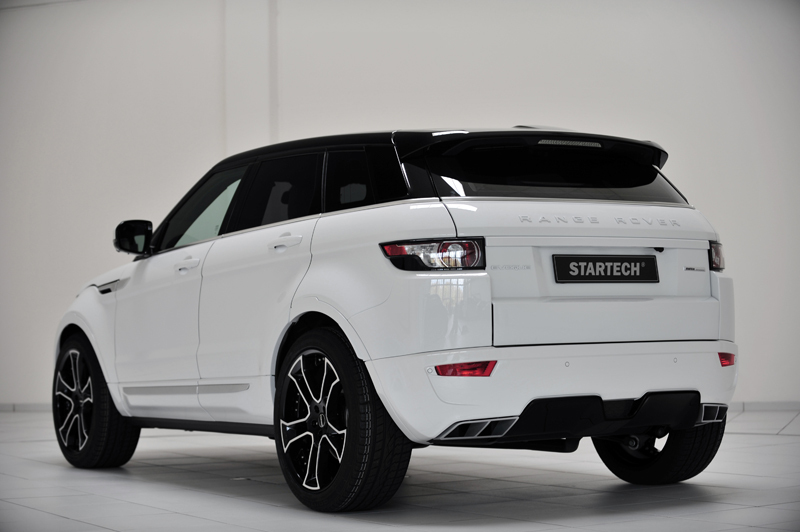 Due to the fact that the SUV is so new, Startech is still working on an Evoque tuning program for the 2.0-liter SI4 gasoline engine. 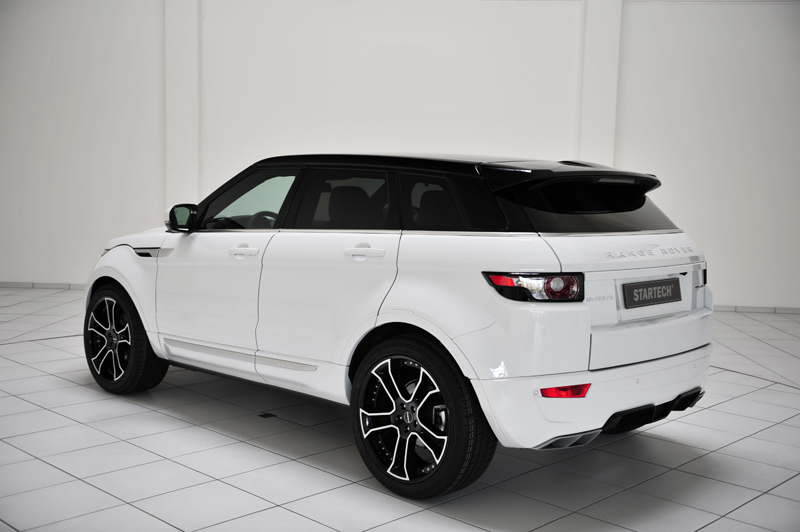 Expect the final power output to be well over the stock 240 horsepower mark. 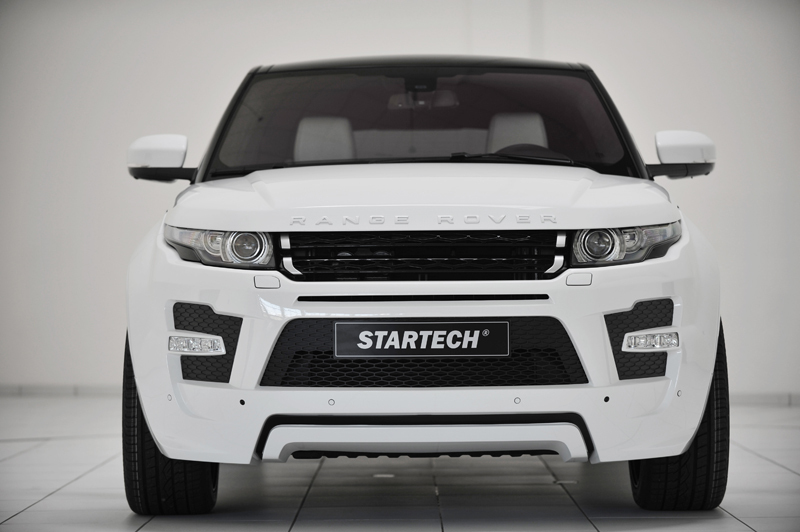 The new Startech Range Rover Evoque will make its worldwide debut at the 2011 Dubai International Auto Show. All elements for the luxury SUV can be applied to the three- and five-door variants as well as both front- and all-wheel powertrains. 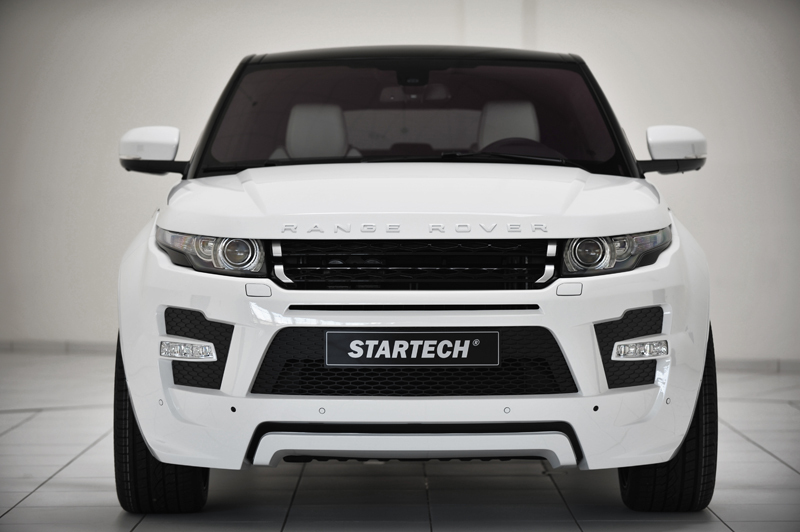 Pricing and availability details have not been released by Startech. 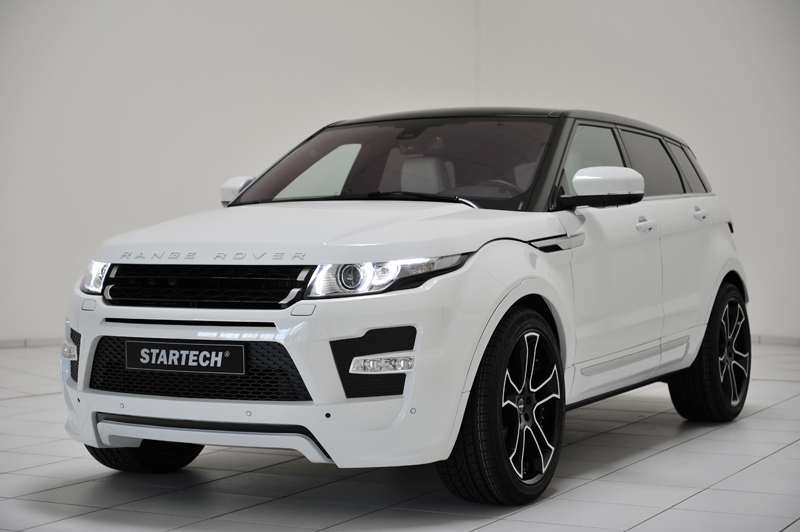 What do you think of the Startech Range Rover Evoque’s design? Leave a comment and let us know!